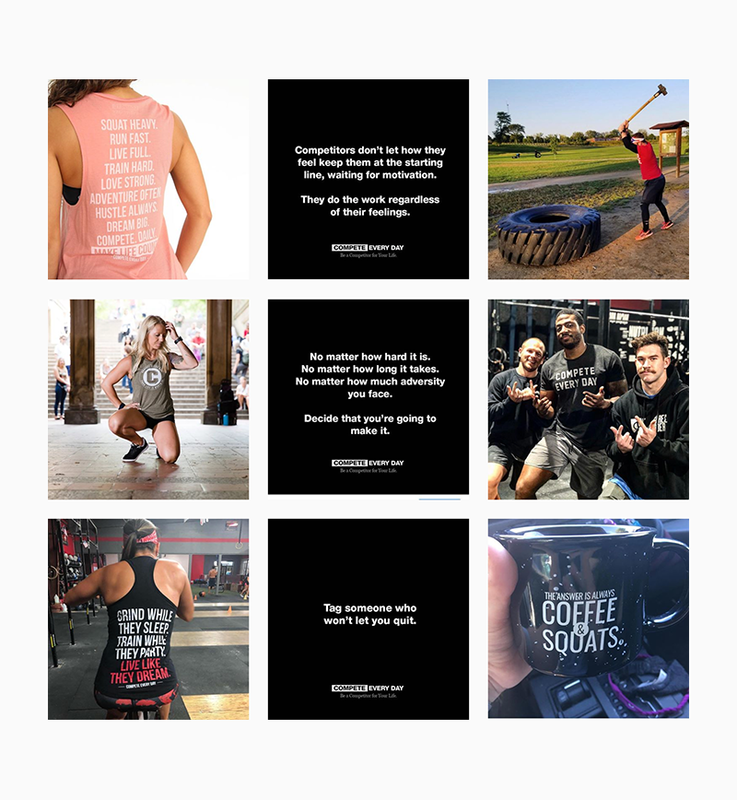 With the new Instagram Feed algorithm, changing the dynamics of what works and what doesn’t on the platform, there’s still a lot to learn about Instagram marketing this year. If you always rely on last-minute content, you’re more likely to end up compromising on the quality and consistency of your posts. Knowing exactly what you’re going to post in the coming week or month gives your brand a huge competitive edge. Planning ahead how your Instagram feed is going to look: saves you time and increases your productivity. You’re less likely to make mistakes, and you’ll have plenty of time to do research, catch up on trending topics, edit your posts, and write the perfect captions. You can also schedule your posts in advance using a tool like Later. Scheduling makes it easier to post at the most optimal time of the day. Better yet, it frees your mind to focus on more important things – like actually creating a great post. Scheduling also helps you mix things up – for example, you can post a photo on Tuesday, a small teaser video on Thursday, and launch the full video with a link on Saturday. The result? Total control and maximum engagement. Using the right colors is key to captivating your audience and creating a cohesive theme for your Instagram feed. Color psychology tells us that every color conveys a certain meaning – you don’t want that meaning to clash with your brand image, so make sure you integrate your brand colors into your feed. Notice everything is so in harmony, each post goes perfectly with flow, they look like family haha that’s, for sure, a color balanced + planned ahead Instagram feed. Pro-Tip: If you’re confused about choosing the right colors, here’s a tool to help you generate your own color palette from existing images. To make your feed look more consistent and follow-worthy, establish a pattern for your posts. Grid patterns are pretty popular these days – for all the right reasons! They make your feed look organized and visually appealing. You can tell it’s not a random way of posting. If you want to stay on top of your follower’s minds, you need to post frequently. But that doesn’t mean you start spamming their feeds – you need to find the right balance. Post too much – you run a risk of getting un-followed. Too less – they might forget about you. While there’s no right or wrong answer about how frequently you should post, you need to be consistent. If you’re posting once a day, make sure you stick to it. That’s because followers will start expecting your posts over time. If you’re inconsistent, you’re less likely to have an impact and get noticed. Pro-tip: The best posting frequency is the one that your business can cope up with – don’t make false promises! There’s nothing more off-putting than a brand with no personality. You need to have a clear purpose behind the content you post. Choose the right topics that don’t clash with your brand image or your audience persona. Do your research and find out what’s trending before choosing a topic for your content. Look for top posts under relevant hashtags and learn from your competitors. Above all: make sure your Instagram Feed Content is valuable, engaging, and interesting enough. Your followers should have a reason to like, comment on, or tag their friends in your post. According to a study, Instagram posts with at least one hashtag tend to receive 12.6% more engagement! With the new algorithm, hashtags are even more important. Use the force wisely! Don’t turn your caption into a hashtag essay – only use a couple of the most relevant ones. If you still want use a handful of other hashtags, post them as a comment instead of writing them inside the caption. Another tip is to use hashtags with a purpose. Of course, one of the reasons is to reach a wider audience. But you can also use hashtags to identify your brand, start a trend, get users to engage with you, and encourage user-generated content. Check out how CompeteEveryDay use its name as a hashtag to engage with their audience, and you know what’s the coolest thing about it? People feel like using it. They already win. Remember – stay away from vague, generic hashtags. They are already saturated with millions of posts. Do your research and find out the most relevant and niche hashtags your audience is looking for. You have more chances of showing up for hashtags with a not a lot of competition. No matter what you do, do not compromise on the quality of your feed. Work hard on each and every post, so it delivers actual value to your audience. Don’t just post for the sake posting. Low-quality content can actually tarnish your brand image in the long run and decrease your engagement rates. Think about it – the number of posts doesn’t count for much when the visuals are pixelated or blurry. Consider investing into a good camera that will improve the quality of your posts. Trust me, your audience is going to thank you for it. 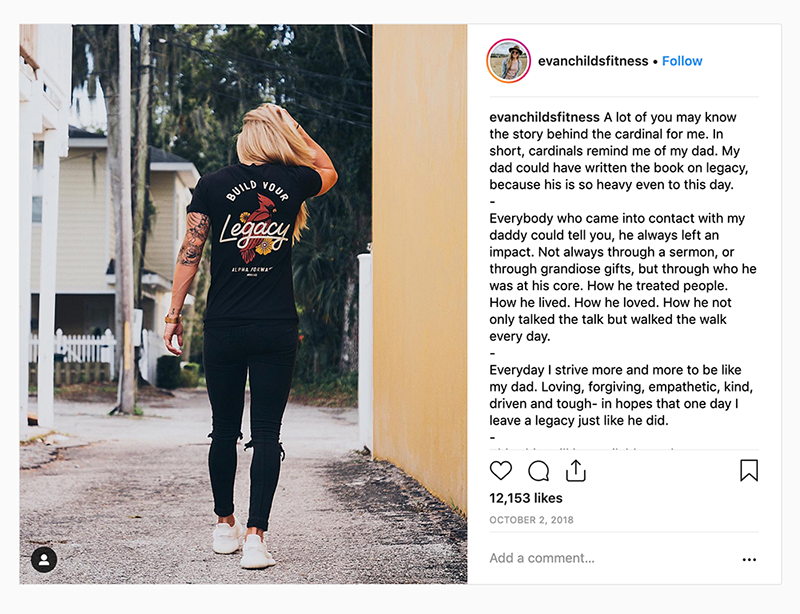 Use your Instagram feed to build a story around your brand. Visual storytelling is the most powerful way to connect with your audience, communicate what you’re all about, and build a loyal following. Pro-tip: use Instagram Stories to involve your followers into your everyday life. Stories generally feel more personal than posts and offer greater Instagram engagement. This is potentially the most difficult thing you’ll need to do for your brand – should you post about what you love or what your audience wants to see? There is no right or wrong answer here, but it’s always a great idea to find the right balance. You cannot ignore either of the two – so, find content ideas that reflect your true self and connect with your audience at the same time. In the long run, this is what’s going to make your Instagram marketing a success. First step: choose a niche for your Instagram business that you’re actually passionate about. This will automatically bridge the gap between your brand’s essence and what your audience likes to see. Visuals are great – but never underestimate the power of a great caption. The right caption can enhance the beauty of your image or video, and offer a backstory to give it context, make it easier to understand, and highlight its relevance. Captions are also a great place for motivating your followers to take action. For example, you can include CTAs like ‘visit my blog’, ‘tag your friends or ‘grab yours today’ to increase conversions. Captions are also good for landing on the Explore page. The new Instagram algorithm favors the time spent on a post – write a captivating caption, and more people will spend time reading your post! 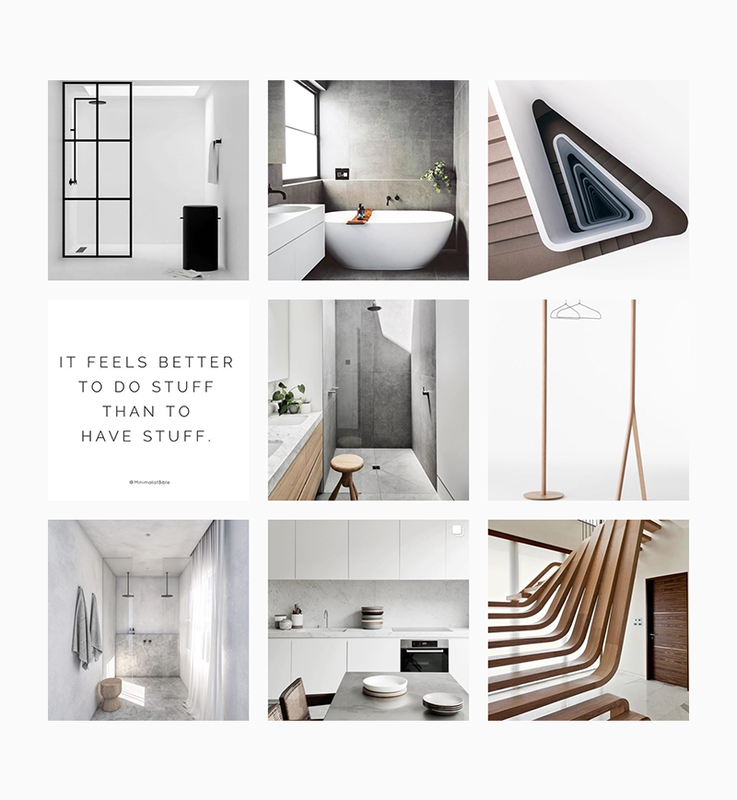 MegaFollow use your Instagram account to automate likes, comments, follows and unfollows based on your needs so you can attract new real & organic followers. Ready to Revamp Your Instagram Feed? Follow the best practices above to make your Instagram feed look gorgeous and attract more followers. Remember to be creative and add your own flare to each post! Did you find any of these tips helpful? We’d love to know! Let us know your comments and feedback below. We will never store your password. To reduce errors signing you up, first log in into Instagram by clicking here. If you have a question or you want to ask about an error, please try to find an answer on the FAQ page by yourself at first.